In 2005 I co-wrote a series of three books with my dear Aunt Jean. (We children in the family all called her Mimi.) Since their first publication, Mimi has passed away due to cancer. These books were her creation to accompany her Amputeddy bears. I was honored to help her write and format the books for the appropriate age group. I am now in the process of writing new books! I am collaborating with family to remember some of her many stories and tell them through Todd the Amputeddy. I also plan to write books about Todd’s new friends who do amazing things by retelling the stories of other children. 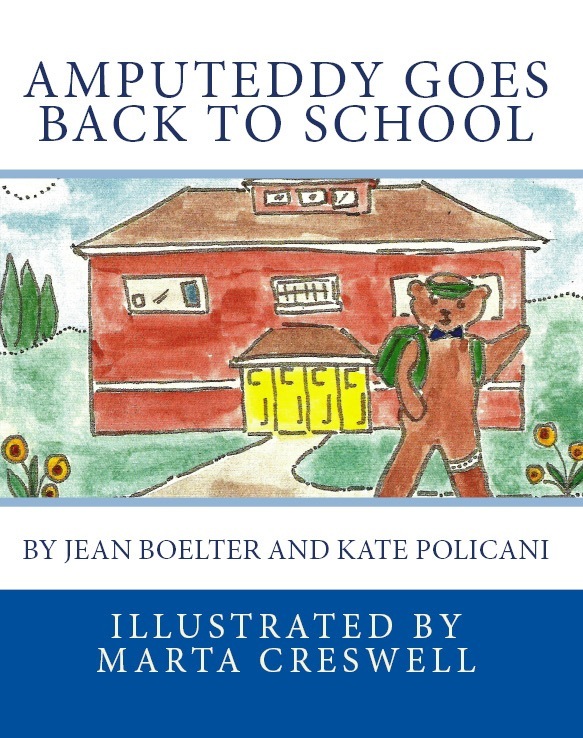 If you know a wonderful amputee child who would love Amputeddy to tell their story, please email me at katepolicani@gmail.com. In the spring of 2017, I was honored to work with my son’s teacher, Ms. Jamie Davidson, and his 3rd Grade class. First, I read them the Amputeddy books, and later, thanks to their inspiration, I wrote a new book! We were all so excited about the book that we decided the class should illustrate a special edition of the book. This is our work together. They chose the title and each child illustrated a page of the book. This was a wonderful project and a beautiful experience for all of us and I hope you will download and read my book with their fantastic art! Don’t forget to read our special message to all amputees. We took special care to write it from the bottom of our hearts. Amputeddy is a little bear who has just recovered from an accident in which he lost his leg. This is his first day back at school! Join him in his fears and triumphs as he learns that he can still be a regular bear, just like everyone else. The second book in the Amputeddy series is here! 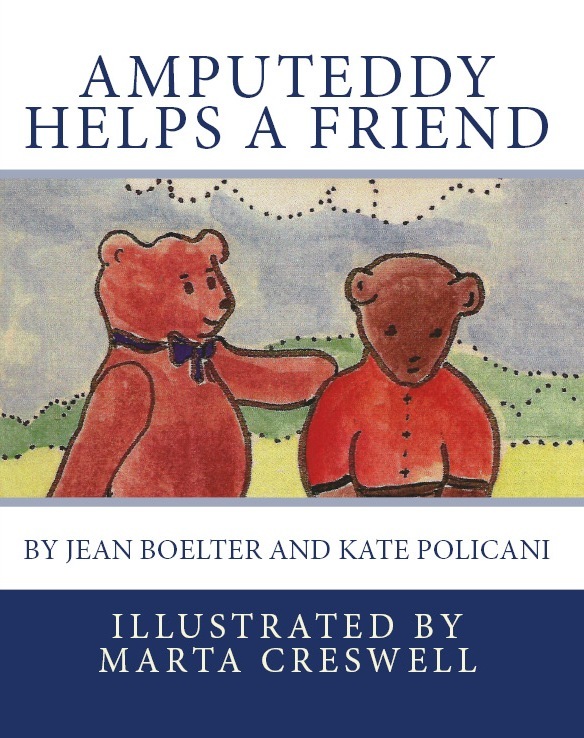 This book explores the life and trials of children with amputations as well as the differences between arm and leg amputations and prostheses. I’m so glad to be able to make the ebook free and donate any proceeds from the print book to the Amputeddy program at Harborview Medical Center. Brandon Bear’s dad has been hurt while serving in the millitary, and Brandon is worried. During a playdate with Todd the Amputeddy, Brandon asks his friend some important questions about how his dad will be different. Todd helps Brandon see that his dad will be different, but they’ll figure it out and everything will turn out all right. Amputeddy books are designed to voice the feelings of children who have an amputation, or know someone who does. Todd’s experiences pave the way for communication and understanding. More information to come if bears will become available. 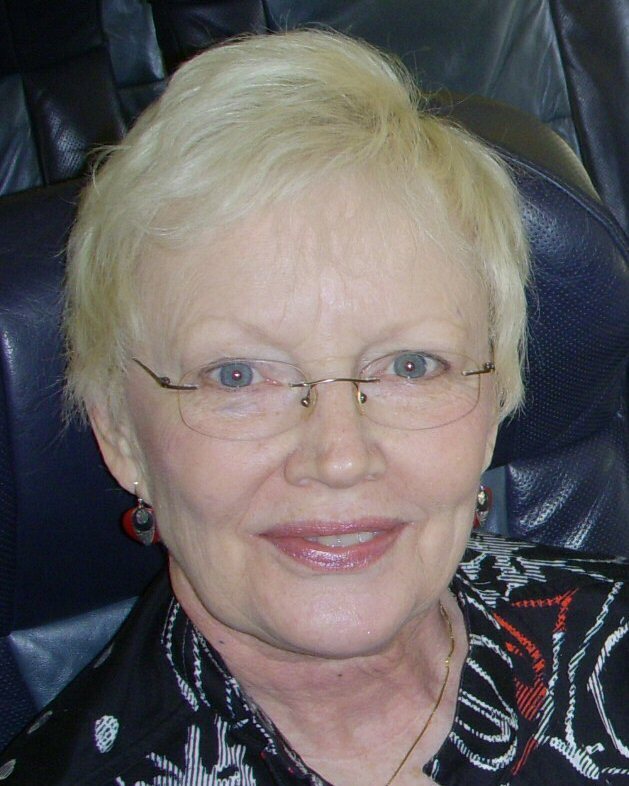 An advocate and friend to Amputees since her own amputation at age five, Jean Boelter was an inspiration throughout her life. In 1988, she and Kate Policani, her niece, created Amputeddy. 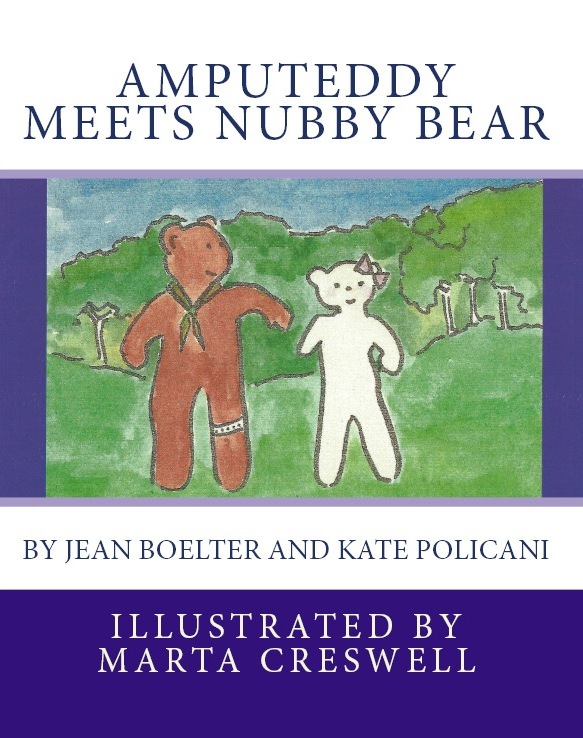 In 2005 they co-wrote the Amputeddy books with help from illustrator, Marta Creswell. Marta is her sister and lifelong supporter of Jean and her work for amputees. After Jean’s death in 2010, the books went to Kate. Kate has re-published them and begun work on more books based on her ideas and the memories of her family. Hi, Kate! 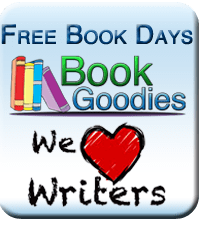 Just saw the latest Amputeddy on Smashwords…Congrats! Thanks! It’s coming to CreateSpace and Amazon ASAP for the paperback copy.